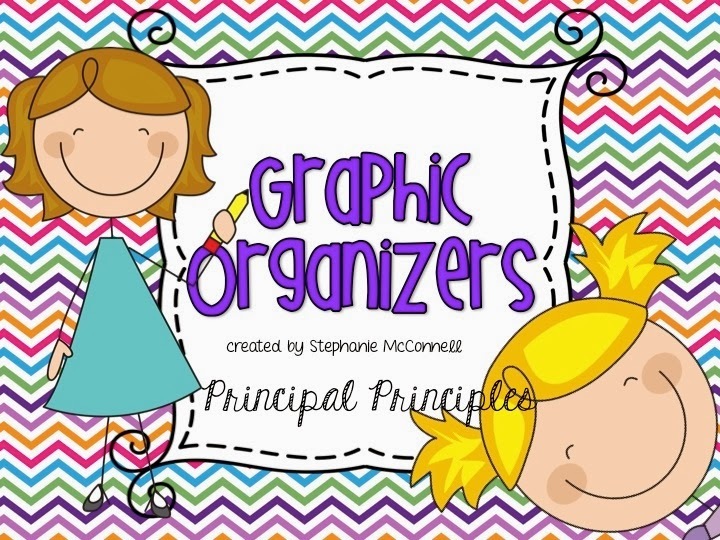 Graphic Organizers are not just for older students. 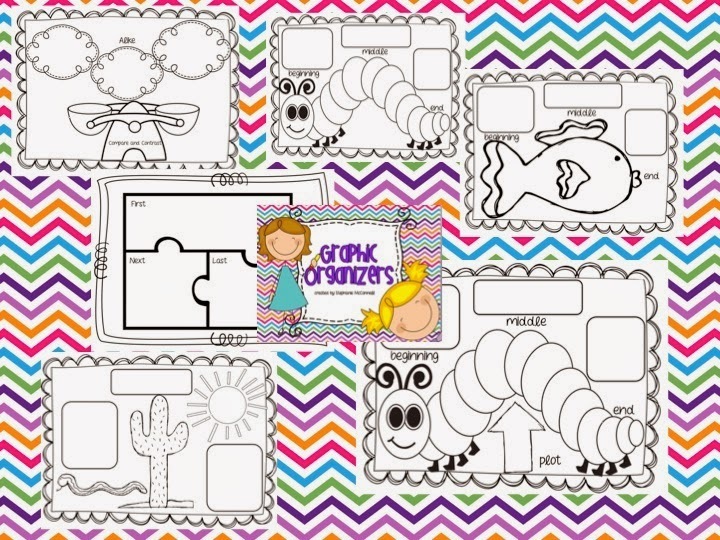 Graphic organizers help even the young learners organize their thinking as they fill in and build the visual map or diagram. Graphic organizers are also the most effective strategy for older students to build comprehension and have been proven to be just as effective with younger students. Teacher modeling is crucial. When introducing a graphic organizer, it is my recommendation that the teacher demonstrate the process by thinking aloud. In this resource packet, I have included graphic organizers such as KWL's, Cause and Effect, Sequencing, Main Idea, Compare and Contrast with Venn Diagrams. There are almost 50 pages of wonderful resources for the younger students. One of the easiest graphic organizers to begin with for younger students would be the sequencing charts. Preschoolers and Kindergarten students are new to storytelling. They may have difficulty telling a story with a beginning, middle and the end. The sequencing chart helps them complete this process and feel confident about their accomplishment. I know the younger students may have difficulty writing the information in the chart so it would be my recommendation that this is completed with the teacher doing all the writing. As students are exposed to these throughout Prekindergarten, Kindergarten and First Grade they will begin to build valuable comprehension and vocabulary skills. This will prepare them for state assessments when at the older grades. What kinds of charts to do you use in your classroom? Do you use these strategies in your classroom? 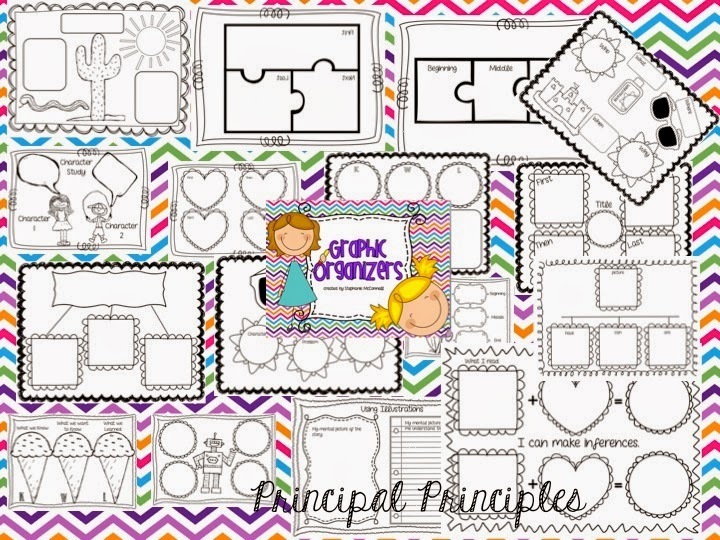 Here is the link again to the Graphic Organizers.